Monica doesn’t know exactly how old she is. She refers to herself as ‘older’. She came to Uganda from Yei town in South Sudan with her 10-year-old grandson Lazarau. They fled in September 2017 when violence erupted in the area. Uganda is the largest refugee hosting country in Africa with over 1.4 million refugees, a majority of whom are from South Sudan and the Democratic Republic of Congo. Monica and Lazarau are among vulnerable refugees living in Rhino Camp refugee settlement. 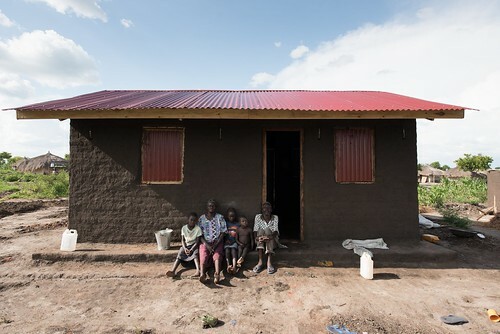 Thanks to EU humanitarian aid, they received a new house built by the Danish Refugee Council (DRC). 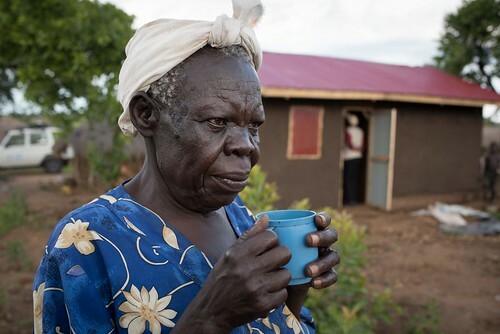 Together with the organisations Lutheran World Federation, Windle International and REACH, DRC forms a consortium that provides shelter, education, and water and sanitation services to refugees and locals in northern Uganda. This EU-funded consortium also targets people with special needs, including the elderly and the disabled. 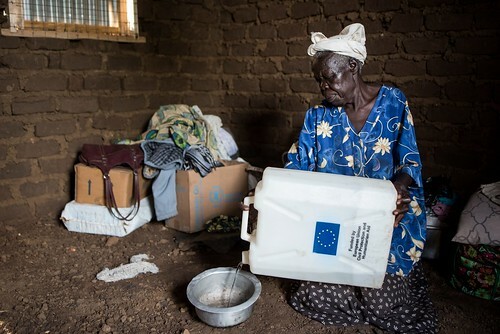 The EU committed €7 million to these four organisations to provide humanitarian assistance to about 300 000 people over an 18-month period.